The tradition of Kihnu Sea Festival was born in 2010, the festival is named after a famous song by the local folk singer Järsumäe Virve. The festival stems from the old Fishermen Day tradition but covers everything involved in the life of Kihnu: handicrafts, arts, songs, dances, music and traditional food. In 2018, Kihnu Sea Festival will be held for the 9th time already. The main performers are Metsatöll and Terminaator. The Kihnu Sea Party is a festival dedicated to the fishermen’s day and the culture of Kihnu and it has a diverse programme. 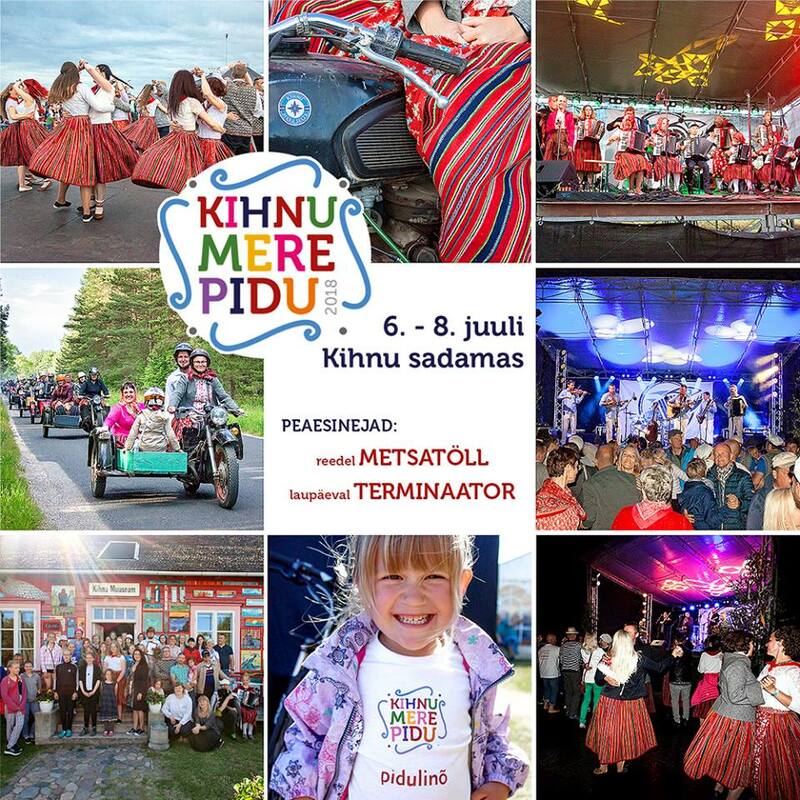 There are concerts, workshops, the traditional Kihnu run, fair ground waiting for sellers and buyers and the museum welcomes everyone. Come and see the island and visit the festival!